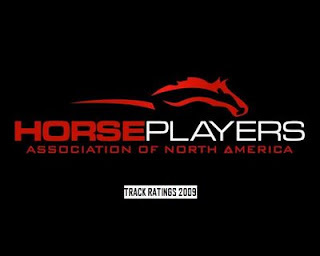 This is not your average track rating, where everyone can guess a top ten based on the type of horses that race there. This track rating is based on value and respect for the betting customer - takeout, field size, breadth of bets and a few others. The tracks that go the extra mile in terms of pricing, customer support and choice will dominate the top of the list. We hope by next week we will be able to release track number 10, then we will be counting down to number 1. After that, all 65 tracks will be posted on HANAweb. Since there are more than 65 North American parimutuel racetracks, I am curious to what metric was used to set a threshold for determining which tracks to rate and which tracks to ignore? Good question. We scoured and found data on 65 tracks. I am sure we could have dug for a couple of others, but we needed certain numbers to make the rating, and these were all we could find with those numbers.